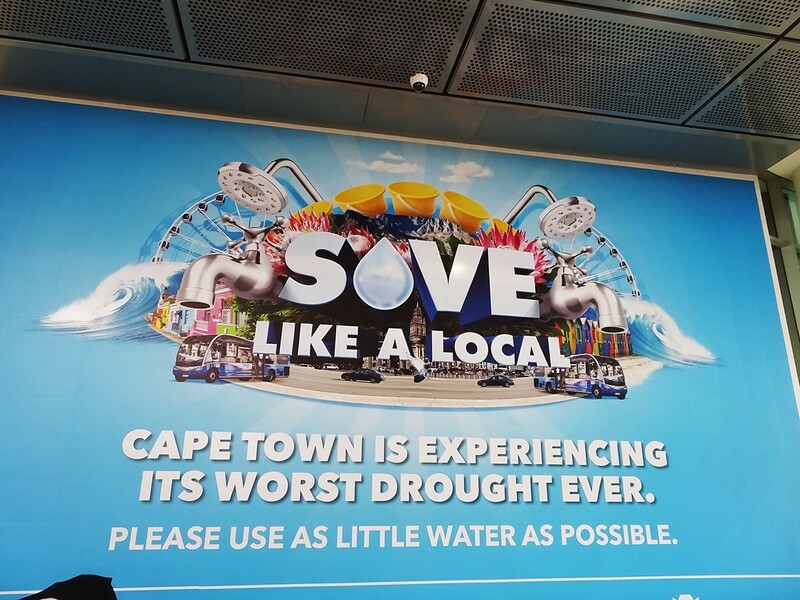 Cape Town might be the first modern big city in the world to run out of water. It is the most developed city in Africa, but no development index is immune to droughts. Due to many years of low rainfall, increased population size, and poor planning of water management, Cape Town’s water levels in the dams are at an all-time low. So low that the water supply was predicted to be cut off on April 21, 2018, coined as Day Zero. Miraculously, through intense water conservation methods, Day Zero got postponed to 2019. But Capetonians are not celebrating with water balloon fights just yet. Dreading the countdown to Day Zero, Cape Town’s citizens are now limited to using 50 litres of water a day. Nobody wants to imagine what Day Zero would mean: water supply entirely cut off and rationed out at stations. It is distressing to imagine four million people line up for water every day— could normal life even continue? I think everyone envisions an apocalyptic scenario just thinking about it. To get a better understanding of how locals are dealing with the crisis, I talked to someone who experienced it. 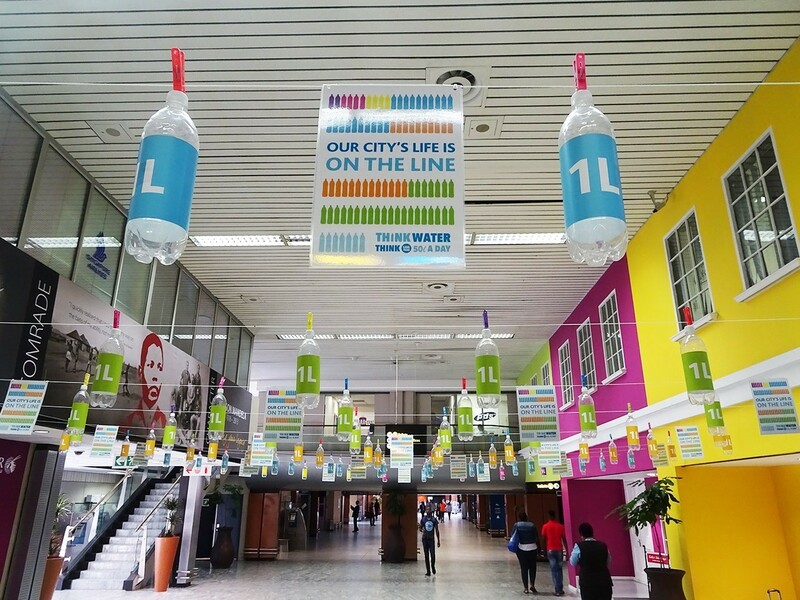 Maxine Matthijsen visited Cape Town last December and this March, witnessing the water crisis first-hand. Having done an exchange semester abroad in Cape Town a few years ago, Maxine came back to reconnect with old friends and the city. She shed some light on how Capetonians conserve water these days and it became clear to me that Cape Town is way beyond "mindful" conservation; the conservation is extreme. An average eight minute shower uses about 75 litres of water and individuals have to cut down water consumption to 50 litres. Every drop counts. How are the Capetonians handling it? Maxine gave me an inside view. You were in Cape Town even before Day Zero was announced. How did the atmosphere change while you were there? When I was in Cape Town in December it was still doable. There were many signs reminding people to conserve water, but no major panic. When I landed in Cape Town’s airport in March, the publicity of the crisis was much more intense. Everywhere I turned there were signs and warnings about the water crisis. 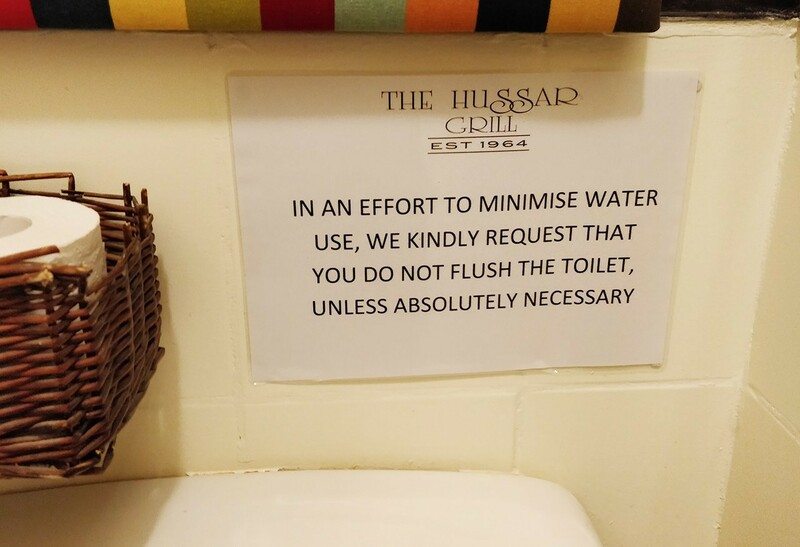 It felt like the city was begging tourists to save water. And do you think that tourists understood the severity of the situation? To be honest, even though I have a connection with Cape Town, I didn’t know what I was getting myself into before I got there, so the tourists must have been shocked. The South African authorities warned visitors as soon as their plane touched soil though. There were announcements on the intercom, the airport plaza had an exhibition of empty water bottles hanging from the ceiling. I don’t think people in the West can really grasp what is happening in Cape Town just from the news, but once they arrive there, it’s pretty clear how serious it is. How did the locals deal with the crisis? Everyone talked about it, you couldn't ignore it was happening. The limitation of using 50 litres of water per person was tough at first, but then it became a routine. You really learn how to use less water. It becomes normal to take one-minute showers and to collect the water from the shower in a bucket, then use it to flush the toilet. In general, toilets were not flushed unless it was very necessary, including in restaurants and bars. People avoided washing hands and instead used hand sanitizer, which was provided everywhere. The water was actually cut off from the taps, but I think everyone was very conscious of the problem and wouldn’t have used them anyway. Swimming pools became taboo to use and even drinks that require a lot of unnecessary water to be made, like Margaritas, came off the menu. So everyone was in it together or was this in some way regulated? Everyone was sort of policing each other. I had the feeling everywhere I went that people were monitoring everyone else's water consumption. Many times I saw girls give weird, disapproving look to someone who had flushed the toilet. You can actually track how much water people in your neighbourhood use online and “shame” them, so to speak. People exceeding the 50 litres per day quota are supposed to get fines. In a city like Cape Town, with extreme economic differences and a sensitive history of white privilege, Day Zero would highlight inequality to extreme visibility. Privileged elites are remaining low-key for fear of being labelled pro-apartheid. I didn’t get the feeling that a particular race or economic class felt more entitled to water than others, but everything could change if the situation worsens. Doomsday is postponed, what now? Well the crisis is not over and this cannot be stressed enough. Water levels in the dams are decreasing and people are still limited to using less water. 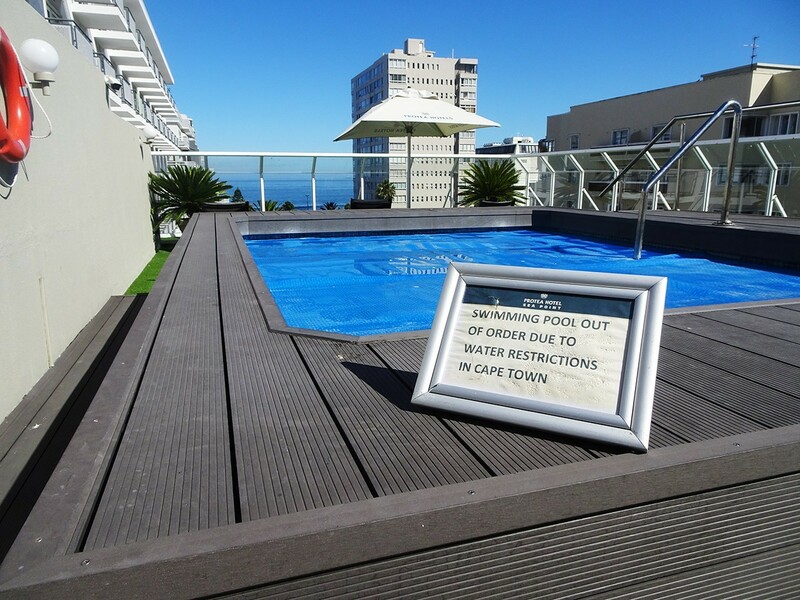 This might just become the new Capetonian lifestyle for the next few years, but it’s a better alternative than Day Zero. There are some band-aid solutions for the worse-case-scenarios, but unless we learn how to make it rain, conservation is the only way. Day Zero is set to some arbitrary day in 2019, but if people relax too much, it will come sooner. We ended our talk on a negative note because, despite praiseworthy collective efforts of everyone in Cape Town, the situation has not improved. As Maxine said, the crisis is not over. On the contrary, it has gotten worse. There are hopes of harvesting water from icebergs that travel from Antarctica, but the technology is not there yet. What’s worse, it seems that other countries like Spain, Morocco, India, and Iran are also candidates for other Day Zeros. So maybe it’s not a bad idea for everyone to close those taps a bit; we want to avoid the apocalyptic water wars as long as possible. Stay tuned for an update from Maxine as she returns to her beloved Cape Town this July (the notorious rain season).